It was 12.30AM and the deejay was tired, having been belting out numbers for more than three hours. But the men dancing to his tunes weren't. A bunch of 41-42-year-olds had gathered together to celebrate their 25th year school reunion. It was probably their last chance to be boys and dance the night away. And boys, given half an opportunity, will be boys. I was there as well, letting the writer in me takeover and observing things and everybody around me. As every selfish writer knows, after a point, everything is material. The tired deejay tried to close the evening. He started playing a song, which started with the words: "kissi ke haath main heera, kissi ke kaan main heera, mujhe heere se maltab kya, mera to yaar hai heera". As soon as he started playing the song, the crowd booed. I mean yes, we grew up in the 1980s and the 1990s, but why subject us to a slow song, sung in a nasal voice, which was straight out of the 1940s. The deejay persisted, and the punch line of the song came next: "tum jaise ch$%&*on ka sahara hai doston, ye dil tumhare pyar ka maara doston." Of course, after listening to these words, no one among the largely inebriated souls protested, the boos were replaced by wah wahsi and they got ready to dance the night away to the infectious beat of the song. The song, sung by a singer called Rajeev Raja, is a reworking of "ehsaan mere dil pe tumhara hai doston, ye dil tumhare pyar ka maara hai doston" from the 1966 movie Gaban. After the dancing ended, I logged on to YouTube looking for this song I had never heard of and I found it immediately. The song's very popular on YouTube and has more than 62 million views. The original "ehsaan mere dil pe tumhara" has just 1.6 million hits. On YouTube, the song was followed by another song called Tera Ghata sung by a singer called Gajendra Verma. This song is the Made in India of this generation. The two postings of the song on YouTube had more than 318 million views together. This is many more views than the average Hindi film songs tend to get on YouTube these days. 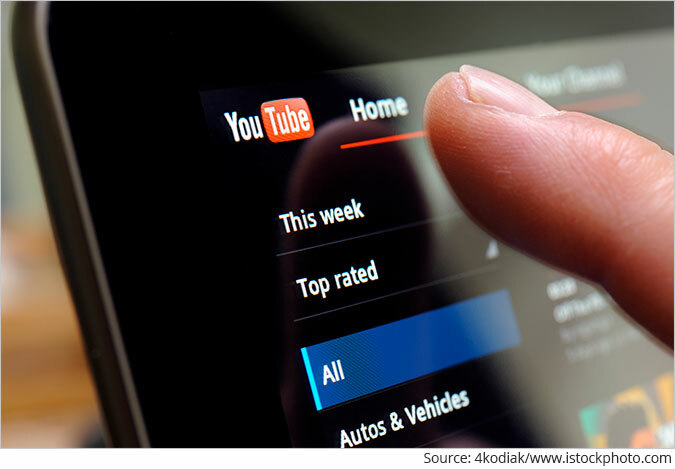 In the last few years, the rise of cheap broadband has led to a whole new genre of YouTube hits which many people of my generation living in metropolitan cities, are hardly aware of. Now how many you have heard of this boy-band called Sanam? The songs of the band, which are basically covers of famous Hindi film songs, have had millions of views over the last few years. Take the case of the famous Hindi film hit, "gulabi aankhen jo teri dekhi, sharabi ye dil ho gaya". The band's version of the song has 97 million views on YouTube. The original song, featuring the late superstar Rajesh Khanna, has just over 10 million hits. And people talk about hard work paying dividends? Imagine what would RD Burman and Anand Bakshi, the creators of the original 1970 hit would feel, if they were still around. The other cover songs of the band, "mere mehboob qayamat hogi", "lag ja gale", "o mere dil ke chain", "ye raaten ye mausam", have 61 million views, 57 million views, 51 million views and 42 million views, respectively. Of course, most non-millennials(is there a term like that or am I just making one up?) have never heard of the band and their songs. The world is changing at it's changing very fast. How does one keep track of all this? Where is the time to learn, when there is so little time to learn? Then there are many songs in Indian languages other than Hindi, which are a rage on YouTube. Take the case of the latest Bhojpuri hit, theek hai. It is a catchy tune with elements of rap. It has been sung by Khesari Lal Yadav and has 41 million views on YouTube. Then there is "chhalakata hamro jawaniya", a raunchy Bhojpuri number, sung by Pankaj Singh and Priyanka Singh. The song has 244 million views on YouTube. But on top of all this are Punjabi songs. Cheap internet has benefitted many people across the country, but no one more than Punjabi singers. There are too many to list here. But here are a few. Take the case of "Tainu suit suit karda" sung by Guru Randhawa and featuring Arjun. It has close to 299 million views on YouTube. Then there is Na Jaa by Pav Dharia. It has a massive 304 million views on YouTube. Harrdy Sandhu's kya baat ay, is sitting pretty at around 272 million views. Gurnam Bhullar's Diamond has 285 million views. Okay, let me stop here. To conclude, in this new world, the good old Hindi film song of the 1950s, 1960s, 1970s, 1980s and 1990s, has got lost. Take my all-time favourite dance number, aap ke aa jaane se, which has Govinda and Neelam dancing in Kashmir. The song from the 1987 hit Khudgarz just has 25 million views. Very honestly, what has the world come to? They don't even love Govinda anymore. 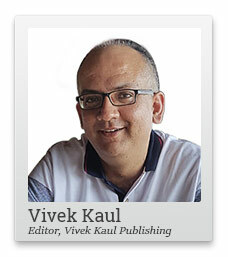 (Vivek Kaul is the author of the Easy Money trilogy). Equitymaster requests your view! Post a comment on "A 40 Somethings Guide to YouTube Hits". Click here! 1 Responses to "A 40 Somethings Guide to YouTube Hits"
New generation's love for these songs won't last long. Their popularity graph would vanish sooner than it rose .